Figs are ripe in our garden, we are eating lots of them. Lavender Shortbread Cookies: ½ cup sugar, 1 tablespoon fresh lavender leaves, 4 ounces earth balance,½ cup whole wheat flour, 1 cup flour, ½ teaspoon salt, ½ teaspoon baking powder, 1 tablespoon water. In a food processor combine sugar and lavender and process until lavender is very finely chopped. In a mixer cream together the lavender sugar and the earth balance. Add the flours, salt, baking powder and water. Mix until thoroughly combined. Wrap dough in plastic and let rest for at least 30 minutes. Roll to about 1/8″ thickness and cut with a cookie cutter of your choice. Bake in a 350 degree oven until light golden brown. 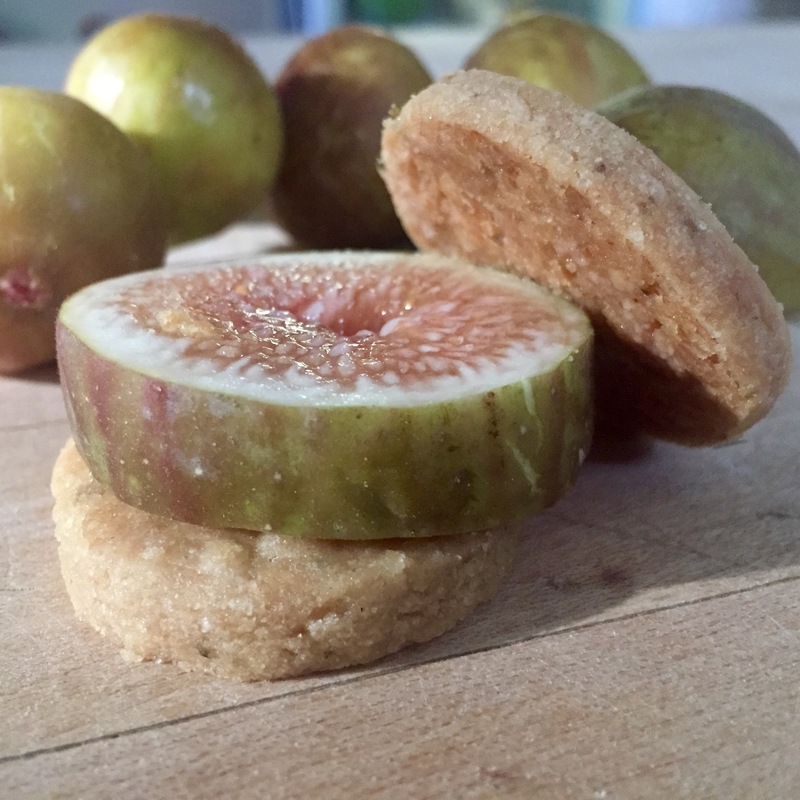 Serve 2 cookies with a slice or slices of fig in between. 11 Aug	This entry was published on August 11, 2015 at 10:48 pm. It’s filed under Uncategorized and tagged 1508 garden. Bookmark the permalink. Follow any comments here with the RSS feed for this post. Older: Come join us Tuesday July 7th!